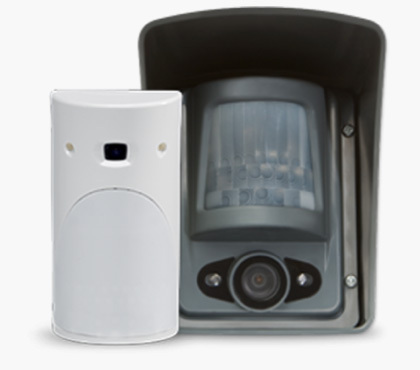 Videofied Alarm System is a technologically advanced security device that uses a motion detector, equipped with a short time video feed activated when the motion detector is triggered. One of the most innovative security devices to come along in years that unlike traditional alarm systems actually verifies the alarm, in real time, as it is happening. Unlike CCTV surveillance systems, that certainly have their place in an integrated burglar alarm detection framework, Videofied transmits the actual scene to central monitoring and performs this task in a stealth like manor. Take the sting out of crime, and make it easier for intruders to be arrested. Why choose Videofied over another Alarm System? Traditional alarm system only notifies you that a sensor was tripped, but can’t verify who or what tripped the alarm. Videofied MotionViewers send a short video clip every time the built-in motion sensor is activated, providing immediate verification to the central monitoring station which enabling a Priority Response from police to stop the intruder and make an arrest. Police and municipalities are recognizing, verified alarm dispatches as “High Priority” because alarm companies using Videofied technology have verified a triggered alarm is “real” not “false”. Because CCTV feeds operate outside the window of opportunity to stop an intruder, Videofied Systems delivers quicker police dispatch and often times makes the difference. 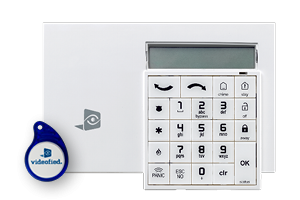 A Videofied control panel can link the Videofied system to most existing Burglar Alarm Security Systems. We interface all aspects of your system and Videofied simply “piggy backs” to your system as an added feature. This product can expand security to even remote areas not currently protected. End result, false alarms are reduced making security assured. All around the country, city budgets are already strained by police responding to thousands of false alarms every year. Videofied Alarms, dispatch police to verified crimes-in-progress making false alarm site visits a thing of the past when Videofied Alarm systems are in use. Many cites have responded to this new technology by placing a “higher priority” designation for police to respond to alarms that can be verified with video. Many municipalities like Los Angeles, CA, Detroit, MI, Grand Praire, TX, Akron OH, and Wictita, KS, just to name a few have changed ordinances to allow for this “higher Priority” response from police. The benefits of a Videofied Security Alarm for residential and commercial customers begins by installing a cost effective wireless/cordless device. Videofied easily upgrades current burglar alarm systems by interfacing with all aspests of those systems. For new installs, Videofied offers a complete stand-alone product, complete with keypads, sirens, door contacts and other peripherals. Additionally, wireless Videofied sensors can be installed anywhere a detector is warranted, indoor or out. False alarm reduction and verified, intruder-in-progress makes deterrent and arrests possible. The end result is securing valuables, reducing damage to property, injury to employees and insurance claims exposure reduced. With the proliferation of burglar alarm systems being installed at record rates, so too are the record number of false alarms being reported. Because of these false alarms being responded to by police, as if an actual break-in has occurred, this has diminished the effectiveness of police in a variety of ways and alarm response, all too often has become a low priority. But with the advent of a verifiable video alarm, police dispatch policies, deliver faster response because they are treated as crimes-in-progress. Faster response means many more arrests, reducing the need for claims reported to insurance companies. Many insurance claims have been a result of the newest “precious metal crime” of stealing copper from vacant buildings, air conditioning units and job sites. Videofied Alarm Systems are making it more difficult for perpetrators of these types of crimes from getting away with the copper, thus reducing insurance claims. Video-verified alarms provided by Videofied Alarm Systems are making it easier on police and all law enforcement officials. Responding to a crime, that in real-time is verifiable, is allowing police to only respond when needed. This in-turn allows police to concentrate their efforts where there are needed most. False alarms are a burdensome and very costly event that if reversed saves added expense for taxpayers, property owners and emergency responders. Because Videofied Alarms enables the monitoring station to become an “eyewitness to a crime-in-progress, Videofied is the only security system ever endorsed by any National Law Enforcement Association.